Note: The last "/" matters. Make sure you have it. 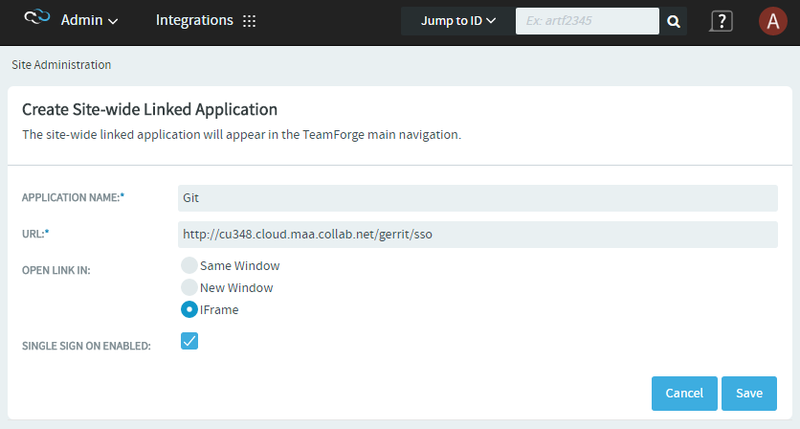 Note: In TeamForge 7.2 and later versions, installing Git for the first time creates a site-wide linked application. From TeamForge 8.0 and later, a project-wide linked application is also created for projects in TeamForge that have at least one CVS repository. However, this behavior can be controlled by the gerrit.config property, teamforge.createTFProjectLinkedApps.